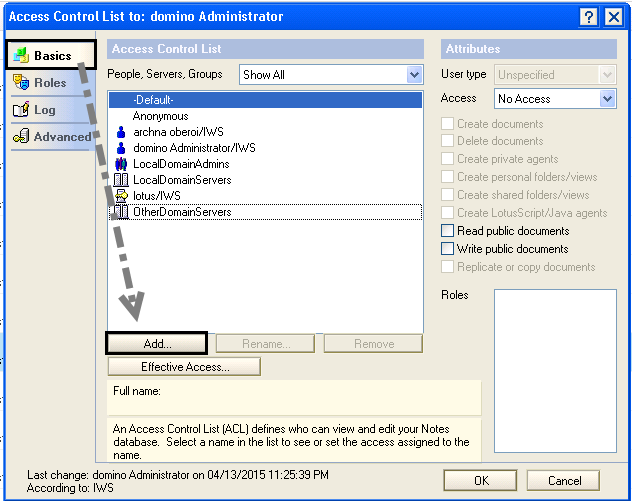 ACL or Access Control List is used to determine the level of Access given to People, Servers or Groups and assign particular task at different Levels. ACL is provided by the IBM in order to provide Security as well as Authority to the databse. 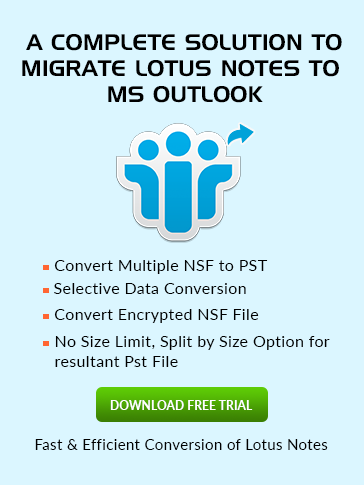 First of all open the Lotus Notes and then go for File then Application and then Access Control refer to the mentioned picture. 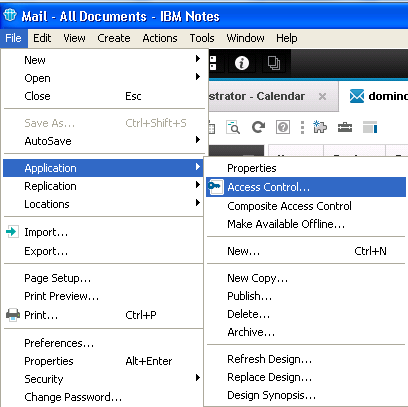 To specify the access level and add user you have to open Domino Server and then go to File menu and then choose Application and then Access Control. Choose the option of Basics and click on Add button to add the user name. After clicking on "Person Icon" a directory will be open in which you have to pick the name of a person and then select the Add button and then click on OK button as picture says. After that you will see the name which you recently added is shown in the list as seen below. 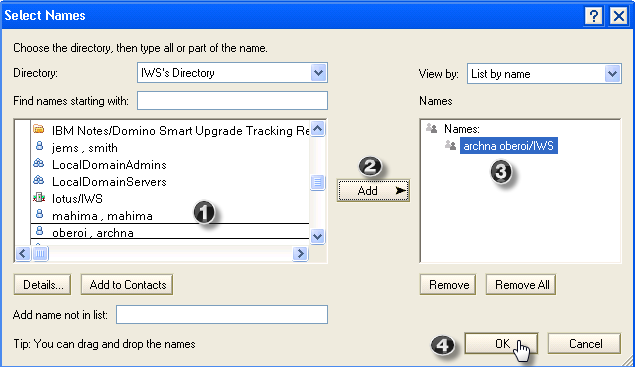 Now assign the User type and Access level to the given name and at last click on OK.
Now if you reopen your database and check for the ACL then you will find the name in the list.